Last night I went to the movies with a couple of friends to watch the newly released Wonder Woman starring Gal Gadot. It was perfect! Wonder Woman spoke her mind, stood up to men, fought on the front-line, asked questions, made mistakes, lost battles, won battles, learned from mistakes, experienced failure, was relentless in pursuit of success, cracked jokes, had issues choosing an outfit and was generally everything that a woman can and should be. As a 20-something-year-old woman, I was inspired. Here we are the following morning and a new story has came to my attention. This is the story of Diana Nyad, the woman who never gave up in pursuit of sporting greatness! Whether you have a keen interest in sport and sporting achievement or not is truly irrelevant here. This one’s for everyone, and the world should know her story. Diana Nyad came to the public eye last month following the publication of her award winning book, “Find a Way“. At the end of May this year her book picked up the top prize as the International Biography of the Year, and i’m not surprised; her story is triumphant. Nyad is a swimmer by trade, and as a teenager the young Diana was introduced to the world of marathon swimming. She broke records; in her first-ever race she broke the women’s 10-mile record completing the feat in 4 hours and 22 minutes. She swam the Bay of Naples, without a wet-suit for some 28-miles!! It wouldn’t be me, but each to their own. Despite the records Nyad’s dream was always to complete a swim from Cuba to Florida. The water was infested by dangerous sea creatures, including sharks and jelly-fish but she did it anyway. In fact, she did it five times!! The swimmer made her first attempt as a 28-year old in 1978; she completed the journey at the fifth attempt as a 64-year old in 2013. The first attempt was halted by strong winds and high swells, and after 42 hours covering 79 miles she was forced to retreat. A devastated Nyad, broken by her failure, never swam another stroke for thirty years. Shoulder pain and asthma attacks meant the trip had to be abandoned once again. A month later she was back in the water. But 41 hours into her journey the brave Nyad was forced to stop due to severe jellyfish stings. Again, it wouldn’t stop her. 2012, the fourth attempt. The furthest she had ever ventured but again jellyfish and storms would stop her from crossing her finish line. Many people would have stopped at the first hurdle, never mind the fourth, but there she was again; standing on the shores of Cuba ready to find a way. It’s never too late, you’re never not ready. Wonder Woman, as genuine as her representation was, doesn’t flip off horseback, knee-slide into Nazi’s and jump from buildings; or maybe she does. Maybe we can. But this Wonder Woman, another one, she swims across the Gulf of Mexico in shark-infested water. She does this five times until she succeeds. Nyad’s story highlights exactly why sport is so important while simultaneously justifying the ways in which it can lose it’s importance. It may be pertinent to say that we have become far too obsessed with material gain. Modern sport has become too focused on collecting as many golden nuggets as possible by the end of the quadrennial fair. But this obsession pulls funding from athletes who are trying, just as Nyad did, to achieve a dream. This obsession can be damaging. Not everyone will stand on a podium but everyone has a dream, and you can achieve it. Nyad did not swim from Havanna to Key West for Olympic Gold, nor did she do so with the support or finance of a billion-dollar training programme. Rather she did it because she wanted to achieve a dream. Sport is important because it pushes people beyond their limit. It brings out the best and worst human emotions and experiences. Experiences that bring us together. Lessons that we can learn. Losses that we must humbly accept, and victory that we must gratefully receive. Sport has the ability to do this in a way that few other things in the world are capable of doing. Similarly, if sport isn’t for you – find your dream, define success and achieve it. Keep going until you find a way. Just as Nyad did. Finding a way is universally applied to everyone, in every place, in every creed, in every colour, in every gender. You keep going, you never give up and you are rewarded with a prize so enormous it can’t be bought. The prize of self-fulfillment. The only thing limiting you is your decision to give up. It’s never too late, you’re never not ready. Believe in yourself. Yesterday afternoon I visited the Football Memories exhibition at Hamilton Central Library. The project is coordinated by the Scottish Football Museum, Sports Heritage Scotland and Alzheimer’s Scotland who are working together to create a network of football memories which will help to fight the battle against dementia. The Football Memories project was set up in 2008, and utilizes group discussions, still images, memorabilia, and short film clips about football to stimulate recall in people with Alzheimer’s. These group discussions are led by trained volunteers who spend time with dementia sufferers who have long admired the game of football. The volunteers share images, stories, and memorabilia from former players and favourite teams in the hope of triggering personal memories. The workshops aren’t exclusive to dementia sufferers, rather they are open to all, particularly those who may be lonely or isolated. The project comes to life through its incredible volunteer work force and through the Football Memories website. The online source offers a comprehensive database of unique and personal stories from fans around the world. The long-term goal of the project is to eventually collate a book which gives access to an entire spectrum of personal, and inspired memories. The volunteers coordinating the Football Memories clinics really put on a show! They have great enthusiasm and some fantastic stories to tell. The story telling is really something, and is great fun for any football fan. Whether you’re a Bully wee or a Hibee, there is something for everyone. There are currently over 130 Memories groups in Scotland, and there is great access to these groups through social media. The Football Memories Scotland Facebook page is full of information, including contact details and website information, and gives an insight into some of the work that will be looked at within the group discussions. Memories, of course, form a crucial part of our being. They allow us to perform behaviours, and communicate with loved ones. The purpose of the Football Memories project is to encourage those with dementia, or indeed any one suffering with some degree of memory recall, to boost self-confidence, morale, and self-esteem. There is sadly no cure for dementia but the Football Memories clinics stimulate emotive feelings and memories, most of which are a reminder of happier, or indeed more youthful times in the sufferer’s life. Carers, and sufferers alike, have noted the positive impact the project has had on dementia sufferers, notably in their self-confidence and communication. Football Memories has offered the chance for people to re-connect with their healthy and happy mind, and in doing so has allowed the sufferer to re-connect with their family and friends who care for and love them. I spent the afternoon browsing the memorabilia on show and as I walked around the room I found that the objects on display had a profound effect on me. In my early twenties, addicted to technology, I found myself not looking down at my phone but rather I was engaged in a full-on football discussion with a gentleman who had attended the European Cup final at Hampden in 1960 between Real Madrid and Eintracht Frankfurt. Real Madrid won 7 – 3 in front of 127,000 spectators at our own national stadium. He even recalled being at both semi-final home and away legs when Rangers were beaten 12 – 4 on aggregate by the German side. Now if I was hooked knowing maybe only one o r two of the Real Madrid players, you can imagine what someone with dementia might gain from having such an inspired conversation. The volunteer, a big Rangers fan, I believe his name was Billy (no joke! ), was great fun and was telling story after story after story! The Football Memories project is fun, informative, rich, enlightened, and pure dead brilliant! It really is for everyone. At its core, the principle of the project is to share and record some of the greatest football stories that have been experienced through the lives of dedicated football fans. To sit, listen and relax whilst engaged in a memory group or to talk, share and recall whilst in a memory group is truly a wonderful experience, it’s no wonder I walked out that room today feeling ten feet tall. A marvelous project, coordinated by fantastic volunteers. Please get involved. Join a group. Lead a group. Simply come along and listen, I promise you it is so worth the journey. You can follow Football Memories on Twitter @FblMemories and on Facebook @FootballMemoriesScotland. Please like, follow and share this tremendous project. Futsal in Scotland: What’s the Problem? Futsal, Futsala or Futebol de Salão, is a game played on a field the same size of a basketball court. It is played with a smaller sized ball (size 2 or 3), which is heavier in weight (roughly 465g) and has virtually no bounce. The game has been valorized for its ability to create an environment in which players will gain 600% more touches on the ball and has single handedly developed the ‘natural ability’ of some of the world’s best players. The truth is that there is nothing ‘natural’ about it! Futsal, its rules, pitch size, ball size, squad size etc etc etc has and will continue to create and nurture the best footballing talent in the world. So why on earth are we not copying the formula of soccer success? Tonight, England will take on Scotland in the World Cup Qualifiers and I couldn’t be any less excited if I tried! And I’m not the only one. Adrian Durham, football journalist and broadcaster, slammed the England national squad selection and felt Southgate’s choices were ‘unimpressive and underwhelming’. As a Scotland fan, of course my home nation, I would love to tell you how eager I am to watch the game but truly I couldn’t give two monkeys! Sure, an underdog story is on the cards but in reality tonight’s fixture only shows the poor quality of player that both nations have produced in the past two, maybe three, decades. Where is Denis Law, King Kenny Dalglish, Jimmy ‘Jinky’ Johnstone, Dave McKay, Billy Bremner, Jim Baxter and the list goes on! Guys who could dribble a ball around 10 men in a telephone box! Where has it gone? There is no one in the England squad or the Scotland squad that excites me or entertains a crowd the way that those guys could, and it worries me and has done for years! Fancy fields at Toryglen in Glasgow, the Orium in Edinburgh, St George’s Park just outside London and even the newly built Wembley Stadium haven’t produced or even witnessed players like the legends of old (auld) listed above. It’s sad. We spend our time and effort focusing on big budgets, and the need to fund this and the need to fund that when all that the single greatest footballing nation in the world are doing is sitting there with their thumbs up their arses as young boys and girls, of their own accord, grab a ball, create some make shift goals and play the game for the games sake! That single greatest footballing nation I am referring to is of course the mighty Canarinho, the Verde-Amarela, Pentacampeões…..The Brazilian National Football Team. 5 times World Champions. I’ll repeat that. 5 times World Champions. We know how they’re doing it. I’ll repeat that. We know how they are doing it. But we appear to continue with the dull and utterly tedious notion that this formula cannot be repeated in Scotland. Why? Pish!! How many times have you sat in a pub and heard this nonsense! Jimmy Johnstone had it, Jim Baxter had it. In the month of June 1967, after winning the European cup, 100,000 fans at the Bernabéu Stadium stood and applauded the wee man, and couldn’t give a jot about Alfredo Di Stefano. Jimmy stole the show with an unforgettable performance that had even the Madrid supporters chanting “Olé!” throughout the game in appreciation of his marvelous flair and footwork. Now I realise Jimmy was special, and I may be asking too much but we done it once, in fact we’ve produced these players time and time again, so why has production stopped? In the same year Jimmy had the Bernabéu on its feet, Jim Baxter had Wembley Stadium up in arms. Baxter teased the newly crowned World Champions by keeping the ball in the air mid game before passing it on to Denis Law, who probably wondered if he was ever going to give the ball up. Now if any Scottish player was to replicate Baxter’s cheeky keepie uppy trick this evening I would be most willing to run down the pub to watch the game, but it simply won’t happen. It’s like we’ve forgotten how to play, or indeed why we played in the first place and I believe Futsal holds the answers to our questions. More contact time with the ball, keeping control of it in tighter, smaller spaces creating an environment in which decision making is the principle focus. The decisions you make in the game and the faster you can think is the only way you will out smart and beat your opponent. Neymar, Lionel Messi, Cristiano Ronaldo and Luis Suarez, probably the four best players in the world right now, are all products of this small sided and simple game. Now, Scotland has taken steps to introduce Futsal however there are still some problems. The Scottish Futsal League, founded in 1997, partnered with the Scottish FA to deliver an “Adult Futsal League structure within Scotland”. Now this is all well and good, and it is great that there are now almost 700 adults playing futsal in six leagues across Scotland however this won’t benefit our national team, or indeed our national league, in the long term. Kids are the future, and they are the ones who need to be participating in this sport if we are to develop any real future football prospects. Give credit where credit is due, the Scottish FA have now implemented a six-hour Futsal coaching course, called ‘Introduction to Futsal’. The course is open to anyone over the age of 16 and will focus on theoretical background, including the rules and history of the sport, as well as covering the various practical techniques. Having this structure in place can only benefit our appreciation and involvement in Futsal, but is it enough? Hopefully this course will quickly develop, and with time I hope it can expand to create its own unique coaching pathway within the Scottish FA coaching structure. The good thing is that Futsal is growing in popularity and now has a place in Scottish sport but its popularity, structure and presence needs to be far greater if we are to achieve any success. Another keen development to be admired is the set-up of the Scottish Youth Futsal Federation. The federation was founded in 2015 and was created to promote futsal in Scotland while supporting local, regional, national and, recently, international youth futsal events. The focus is on young footballers’ participation, specifically reaching out to boys and girls from U9s to U17s. During the month of September, the SYFF hosted the IFA Youth Futsal World Cup in Dundee at the Dundee International Sports Centre. This is a tremendous achievement and a huge step in the right direction. There is no doubt that young people are picking up a futsal and getting involved, but there is still more to be done. Most young players are involved at club level, and unfortunately we find that most of the time these young players will get less contact time with the ball because they are engaged in fitness sessions or SAQ, when right now at the early stages all young players need is touches of the baw (ball)! It’s no secret that across Britain futsal has struggled to gain sponsorship and valuable financial structure however with the set-up of these organisations Scotland may just have got the leg up on the competition. Tennents’ Wellpark Brewery, a famous Glasgow brewing company, sponsors the Scottish National Futsal League and now the Scottish National Futsal Team, whilst additional support also comes from Spanish sports clothing manufacturer, Joma. Again, this shows the tremendous effort being made to develop futsal in Scotland and truly highlights the growing popularity of Scottish futsal. I admire those who are trying to push Futsal in Scotland, because they are truly making a difference. To those who are running the Scottish Futsal League and growing the popularity of the sport, I commend you for doing what needs to be done. I strongly believe that Futsal is the answer to our problems. Not facilities or finance, just pure and simple game structure. Players need less time to think, and more time with the ball at their feet. The success of Futsal in Scotland so far has been the organisation of the first-ever Scottish Futsal Cup, the implementation of the futsal specific coach education course, and the commitment to entering the Scotland National Futsal Team into the 2017 European Championships. These achievements highlight the work being done at all levels of the game, but we need to do so much more to gain the real, long term benefits of Futsal. The real success, of course, would be the grand reopening of the production line that produced so many great Scottish footballers, that have been recognised the world over. It would be finding a player that can take on 2 or 3 players only to go back and take all of them on again and win. Just the way it used to be; now that would truly be a delight to see. Fan Ownership: What’s the Problem? Fan Ownership is one of footballs biggest talking points at the present time. With dwindling attendances, rising ticket prices and teams going bust left, right and centre it is surely time to take action! In the season 2011/2012 the then Scottish Premier League experienced a collective loss of over £10 million. Only two of the 10 teams analysed within the PWC report calculated a profit. Since then British football fans witnessed the collapse of Hearts of Midlothian and Rangers Football Club, two of Scotlands biggest names. During the football seasons from 2009 – 2014 Scottish footballs’ top tier has experience a loss of almost £40 million. Scottish Football has generated substantial losses in contrast to the other European football leagues. There have been similar cases of financial loss in England with regards to Leeds United, Portsmouth, Hereford, Wrexham and most recently Bolton Wanderers. There are clearly problems with the ownership models largely in use at this current stage. The predominant models are split into two different types. There are ownership types; examples of this include benevolent family ownership and individual ownership, and there are company types; examples of this include public limited companies and private limited companies. These models share a common advantage towards either a single individual or a group of select individuals. There are obvious problems with the current models in place, therefore alternatives must be encouraged. There are significant benefits to fan ownership. Fanatics, individuals who express a life long devotion to their club, and most supporters in broad terms provide stability and continuity in relation to financial backing. In most cases it is unlikely for a supporter to switch alliance to another club. Supporters, for the most part, remain constant. The benefit of this continuity is that the supporters are, for the most part, key investors in the company and have a significant impact on revenue. Supporters, and devoted fans, will not turn their back on their clubs. Private investors are known to let clubs, fans and communities down by mismanaging business; this is most notable in the case of Manchester United Football Club with the takeover of the Glazer family, similar cases have occurred at Liverpool and Rangers Football Clubs. To resolve this, supporters must be encouraged to own their clubs. Supporters influence their club massively. Even with the absence of fan ownership supporters engage in and influence all aspects of their club, including the clubs culture and identity. For most supporters the clubs stadium is the epicentre of their cultural expression and regional pride. It is within the realms of the football ground that supporters will express their undying support for their team. Importantly, the financial influence of the supporters comes predominantly from gate money. It is clear from a number of reports that supporters’ involvement is crucial to the financial gain of any football club. Supporters’ are fundamental to the process which allows football clubs to maximise their potential returns. The loyalty of supporters is often exploited to generate finance for the club. Merchandise is tailored to fan interests and supporters are given no choice but to pay extortionate ticket prices. This is not in the best interest of those who devote all their efforts to the club they love: the fans. There surely has to be a resolution. A contemporary example of supporter mistreatment is the case of Leeds United Football club. The Yorkshire side have experienced financial plight for the worst part of 15 years. Despite having a unified Supporters Trust (Leeds Fans United), chairman and majority share holder Massimo Cellino has halted the supporters’ bid for their club. After agreeing to sell the club to the Leeds United Fans trust in October 2015, the controversial Chairman changed his mind a month later and withdrew his interest. The Leeds supporters were subjected to further financial and managerial mistreatment in early December 2015, when Cellino imposed a £5 increase in ticket price. This inflated price included a food voucher to be used at half time, which would be used as an incentive to encourage supporters to use the clubs catering facilities regardless of whether the loyal supporter wanted the half time pie or not. This incentive provides support for fan ownership in football. Leeds United is one case out of a multitude of others. Supporters and their clubs are experiencing a complete lack of communication and consultation. Supporters are being completely disregarded and ignored with regards to decisions that affect them. Importantly, the more fans continue to be excluded from ownership the more they become disenfranchised from their football clubs. To discourage the club from fan ownership is to discourage the club from gaining any form of stability and transparency. “It’s now all about the football. It’s not even the case of like; I don’t go around the place saying ‘oh I run a football club’, because you know that’s not part of it. There are certainly indications that fan ownership is met with a positive response from the majority of fans. In my opinion football will only be better when owned by its supporters. However there are certainly negatives amongst the positives. There is a huge question as to whether or not supporter associations can control, or at least affect, the power within the board room. Can the representative individual, or individuals, successfully engage in important decisions especially when these representatives are likely to be the ‘outsider’ on the board. Furthermore, supporter associations have even been accused of exploiting their own clubs by forming unfavourable alliances with board members who possess majority shares in order to strengthen their own authority. When instances like this have occurred it has naturally caused distrust amongst supporters, which has a negative effect on transparency and assurance. However, there are too many positive examples of supporter ownership that greatly outweigh any such negatives. Hereford FC dropped out of the Football League through relegation in 2012 and since then the supporters were made to endure three seasons of financial mismanagement under two different owners in David Keyte, who refused to sell to the Hereford United Supporters Trust, and Tommy Agombar. Under Agombar’s rein Hereford was ejected from non league football due to large sums of debt and in December 2014 Hereford FC collapsed. Since 2015 under fan ownership, Hereford FC, have created a sustainable future attracting no fewer than 2,000 members, the club have acquired kit sponsorship and have even obtained possession of Edgar Street stadium, the ground the original club used since 1924. Fan ownership has brought sustainability, democracy, inclusion and continuity to the club. There are many examples of this positive change in the light of supporter ownership at other clubs, such as FC United of Manchester and Portsmouth FC, which is why I strongly believe supporters’ should be given the right to own their club. FAN OWENRSHIP: THIS IS OUR TIME! Majority ownership has led to the collapse of many British football clubs. Supporters’ loyalty and devotion to their clubs have been exploited by owners, and the common aspiration for success has been employed as a rational explanation for groundless, unreasonable and unmanageable economic abuse. There are successful cases of fan ownership at both the bottom and top end of professional football. Importantly, there are far too many cases of bad ownership. Football, is about community. British football must regain this sentiment. The supporters, the people who invest time and money into their club, should be the ones who own it and make decisions in regards to what is best for their club. A great man once said “Football without fans it nothing.”, and never have those words resonated more with football supporters than right now. Everyone who loves this game has a responsibility to take a good hard look at themselves and ask, ‘What am I doing to make a difference?’. Beech, J. (2010) ‘Finance in the football industry’, in S., Hamil and S., Chadwick (Eds. ), Managing football: An international perspective, Butterworth Heinemann, Oxford. Fitzpatrick, C (2013) ‘The struggle for grassroots involvement in football club governance: experiences of a supporter-activist’, Soccer and Society, Vol. 14, no. 2, pp. 201 – 214. FourFourTwo (2015) ‘“Come on both teams!” Westfields vs Hereford’, FourFourTwo. November 2015, pp. 60 – 64. Garcia, B & Welford, J. (2015) ‘Supporters and football governance, from customers to stakeholders: A literature review and agenda for research’, Sport Management Review, Vol. 18, no. 4, pp. 517 – 528. Kennedy, P. (2012a) ‘Supporters Direct and supporters’ governance of football: a model for Europe?’, Soccer and Society, Vol. 13, no. 3, pp. 409 – 425. Kennedy, P & Kennedy, D. (2012) ‘Football supporters and the commercialisation of football: comparative responses across Europe’, Soccer and Society, Vol. 13, no. 3, pp. 327 – 340. Kennedy, D. (2012b) ‘Football stadium relocation and the commodification of football: the case of Everton supporters and their adoption of the language of commerce’, Soccer and Society, Vol. 13, no. 3, pp. 341 – 358. Margalit, A. (2009) ‘“You’ll Never Walk Alone”: On property, community, and football fans’, Theoretical Inquiries in Law, Vol. 10, no. 1, pp. 217-240. Morrow, S. (2015) ‘Football finances’ in J., Goddard and P., Sloane (Eds) Handbook of the Economics of Football. Edward Elgar, Cheltenham. Morrow, S. (2015) ‘Power and logics in Scottish football: the financial collapse of Rangers FC’, Sport, Business and Management: An International Journal, Vol. 5, No. 4, pp. 325 – 343. Morrow, S. (2012) ‘The financial collapse of Rangers: lessons for the business of football’, Perspectives, Vol. 33, pp. 15-18. Australian Open 2016, British success. Johanna Konta has continued her remarkable run of form and has reached the semi finals of the Australian Open by beating China’s Zhang Shuia. Andy Murray also had success in the quarter finals beating David Ferrer, to reach his 6th Australian Open semi final. It has taken 39 years for two Britons to reach this stage of the competition. Sue Barker (semi finalist) and John Lloyd (runners up) were the last British tennis players to do so. Good Luck Andy and Jo! So Mourinho has been sacked, and the world wants to know – who will fill the special one’s boots? The Blues, and Abramovich, have a great history of sacking. No seriously, it works! Lets go back to 2007, the first time Mourinho was sacked. Under the Portuguese manager, from 2004 – 2006, Chelsea won their first league title in half a century, and followed it up with another, and had claimed the FA Cup and League Cup. Yet tension has been mounting as Mourinho’s relationship with owner Roman Abramovich became increasingly irritable. The manager caused further quarrel over the appointment of Avram grant as the director of football, a role that Mounrinho opposed. The hierarchy were infuriated over the managers’ behaviour and, with Chelsea fifth, Mourinho was sacked after a disappointing Champions League draw against Rosenborg. Avram Grant replaced Mounrinho and despite losing to Manchester United in his first league game, Chelsea would go on to lose only one game in 32 under Grant in the Premier League. That season under Avram Grant, Chelsea finished 2nd in the Premier League, were runners up in both the League Cup and the Champions League. The Brazilian, Scolari, never got to grips with club management at Chelsea. Fan favourites John Terry and Frank Lampard were the biggest names amongst the sceptics that were confused by the managers’ methods. Scolari barely lasted 7 months. The final straw was a nil nil draw against Hull City at Stamford Bridge where the Blues had only won 6 in 13 home matches. Chelsea, at the time, were 4th in the table and still remained in the FA Cup and the Champions League. The Brazilian was gone. Dutchman, Guus Hiddink, would replace him as interim manager. He is the favourite to take the job again following the sacking of Jose Mourinho this afternoon. Under Hiddink, Chelsea lost only once in 23 matches. He lead the team to a successful Champions League campaign, reaching the semi final only to be put out by FC Barcelona. 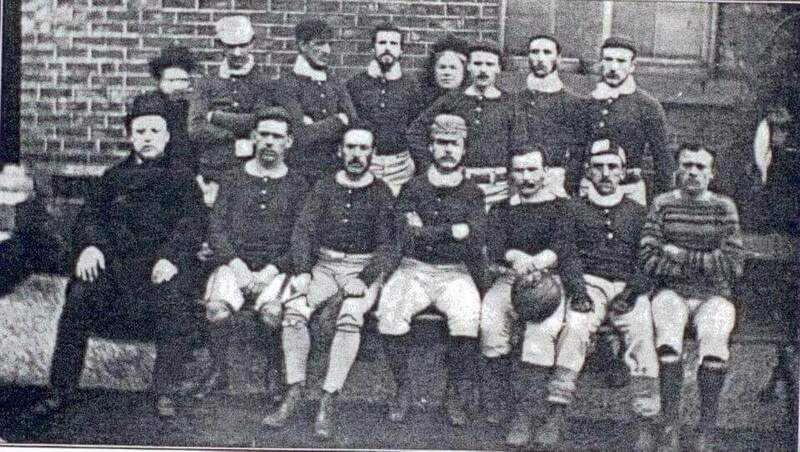 The Light Blues finished 3rd in the league and won the FA Cup. It all seemed too much for André Villa – Boas. The manager attempted to revamp the squad, while facing constant challenges and opposition during his first taste of Premier League football. The clubs experienced players were quickly dissatisfied with Boas methods’ and the teams’ performance suffered because of it. Results began to decline, Chelsea slid down the table while others moved up. Villa – Boas suffered a 3 – 1 first leg defeat to Italian side, Napoli, in the knock out stages of the Champions League. Soon after, his team would slump to a 1 – 0 away defeat at West Brom. This was the final nail in the coffin. The decision was made, and Boas was gone. His replacement, and club assistant, Di Matteo would make a lasting impression on the West London club. The Italian had a great relationship with the Chelsea players, and this helped restore some faith amongst the experienced players that were heavily criticised during Boas reign. The league form never really recovered and Chelsea finished in 6th place – the lowest position under Abramovich. However, Di Matteo will forever be remembered for his magnificent cup double. After a poor start Chelsea finished he season as FA Cup winners and under Di Matteo the club won their first European Cup beating Bayern Munich on penalties. Perhaps, Abramovich should have sacked Mourinho sooner – you never know! Juande Ramos and Guus Hiddink are the favorites to succeed Jose Mourinho at Stamford Bridge, but Pep Guardiola is the long-term bet. Carlo Ancelotti, Rafael Benitez and even Brendan Rodgers have been named as contenders for the job. Whoever it may be, the replacement for the most successful manager in the club’s history must ensure safety in the Premier League and hope for a prolonged and successful Champions League campaign. Chelsea will return to domestic competition when they play Sunderland on Saturday at Stamford Bridge (3pm KO). Arsenal require a win against the Greek outfit this evening to progress through to the last 16 of the Champions League knock out stages. Last night Manchester United crashed out of Europe’s elite football competition after a 3 – 2 away defeat to VfLWolfsburg. This sent shockwaves around Britain. How could a club of this stature be prematurely KO’d from the Champions League, a competition they won merely 7 years ago? Will the Gunners suffer the same fate? Arsenal can only qualify for the last 16 as Group F runners-up if they better Olympiakos 3-2 win at the Emirates. A 1-0 or 2-1 win will not be enough. The Gunners require 3-2 or a higher score line to give them a better head-to-head record than their Greek rivals in the group. With this score line, Arsenal would then finish above Olympiakos on overall goal difference. Olympiakos are aiming to progress to the knock out stages of the Champions League for the second time in three seasons. There have been many great escapes in Champions League folklore, from which Arsenal can draw strength. Here are some of the best. FC Porto after being crowned UEFA Cup winners in season 2002/2003 began their attack on the UEFA Champions League under the leadership of a young, Jose Mourinho. The Portuguese side did not get off to a good start in their first group game against Partizan. Porto drew one all with the Serbians in their away fixture. There home leg against Real Madrid seen Jose Mourinho’s side hammered 3 – 1. All seemed lost, until the young Mourinho wielded his magic and defeated French side, Marseille in a double header (3 – 2 away then 1 – 0 at home). Porto would later go on to win 2 – 1 at home against Partizan and draw with Real Madrid at the Santiago Bernabeu. After the home defeat to Real Madrid left the Portugese side one point from two games all seemed lost. But eventually, Porto stormed through the competition taking a staggering 10 points from a possible 12. Porto went on to reach the final in Germany, and were crowned the Champions of Europe defeating Monaco 3 – 0. In their opening group match Liverpool comfortably won 2 – 0 against Monaco. The Reds struggled to pick up points in Greece however, and Olympiakos finished them off with a 1 – 0 win. Liverpool again struggled to make the grade, and drew 0 – 0 at Anfield against Deportivo La Coruna. That meant Liverpool had only taken four points in three games. In the return leg against Deportivo away, Liverpool won 1 – 0. However defeat at Monaco meant that Liverpool required a victory by two clear goals against Olympiakos (sound familiar?). Liverpool initially went behind after a well worked Rivaldo free kick. This set piece set the stage for one of the most dramatic comebacks in Liverpool’s and Champions League history. Liverpool scored two minutes after the game restarted through Florent Sinama-Pongolle. The second goal came from Neil Mellor who scored in the 81st minute. The Reds needed a goal, and who better to pop up and deliver it than Captain Fantastic himself – Steven George Gerrard. 25 yards out, dying minutes of the game, in front of the Kop and boom – GOAL!! Of course, if you know your history, the Reds later went on to produce arguably the greatest Champions League final ever. Does anyone remember the certain heroics of one Jerzy Dudek? Simply unforgettable. The German side collected merely four points from five games during their Champions League campaign. Going into their final fixture against Greek side Panathinaikos they needed a victory, of four or more goals and Barcelona to beat Italian side Udinese. To summarise, they needed a miracle. And by God, did they get one. The Germans battered Panathinaikos 5 – 1, they has done their bit. Barcelona however left it late to seal a victory over Udinese, scoring twice in the final 5 minutes of the match. Bremen would later be knocked out by Juventus in the last 16 but they gave us a hell of moment to remember. Will there be another great escape? Arsenal awaits their fate this evening. If they do drop out of the competition it will be the first time in 16 consecutive seasons. The Gunners will have to progress without star striker Alexi Sanchez and midfielder Santi Carzola. Arsenal did secure a comfortable 3 – 1 at home against Sunderland at the weekend taking the London side to 2nd place in the Premier League. They will have to build on that confidence and their success in domestic competition to give them any sort of chance of completing the great escape. “Que sera sera, whatever will be, will be. Homophobia in Football: What’s the problem? BBC Sport reported yesterday that Premier League executive Richard Scudamore supports the idea that openly gay footballers would be treated with respect in the Premier League. This was a bold assumption from Scudamore, who has held his position as Chief Executive at the top flight of English Association Football for 16 years. Scudamore believed openly gay footballers would be treated with “tolerance” and “that the time would be right” to come out. The Chief Executive however appeared ill informed on the subject. When discussing the gay footballer “coming out”, Scudamore questioned whether this language was appropriate and consistently referred to openly gay players as “them” and “they”. There is only one openly gay player in English football. His name is Liam Davis, and he plays for Gainsborough Trinity. In an interview with BBC Sport in January 2014 Davis spoke about a fairly positive response from his team mates, opposition and fans. Davis stated that on the one occasion that he did encounter abuse from an opposition player, the player apologised for his behaviour after the match via a text message. During an interview with the Lincolnshire Echo Davis expressed his wishes that professional footballer Thomas Hitzlsperger would have “came out” before retiring in 2013. Davis did however admit, that the closer you get to the top flight then the harder it will be for players to be open about homosexuality due to greater media coverage and increased fan exposure. Davis seemed to be in the perfect community club environment to “come out”, and has received massive support from family, friends, team mates and the football club itself. However, the same cannot be said for others. And the fact of the matter is, out of the 2 million adults who participate in football every week in England only one is openly gay despite 1.5% of the English population being homosexual or bisexual. This does not support Scudmore’s statement, and it is plainly obvious that the environment in England is not entirely suitable for homosexual footballers. Thomas Hitzlsperger, the former Aston Villa and German national player, also received positive responses upon coming out to the public. This is a great thing, however Hitzlsperger never experience a match day response inside a Premier League stadium. So there is no telling how a crowd would respond. I would like to think the reaction would be positive, but past experience tells us otherwise. Justin Fashanu, England U21 International, came out as homosexual in 1990 – he was the first footballer to do so in the United Kingdom. He committed suicide at the age of 37, tragically, as a response to his sexuality. This one response from a professional League Two player highlights the eagerness to protect gay footballers. This may seem like an act of kindness, but personally I believe this suggests a lack of tolerance in the English game. The Gay Football Supporters Network (GFSN) was formed in 1989, “as a social network for LGB&T football fans across the UK.” The organisation uses football as a tool to tackle “homophobia, biphobia, and transphobia” on and off the football field. It has helped to establish LGBT supporters clubs, assisting the development of an inclusive and equal football fan experience. London based clubs, Arsenal FC and Tottenham Hotspurs, are two such clubs with LGBT supporters groups. The Gay Gooners and The Proud Lilywhites are the clubs official LGBT fan communities. These fierce rivals share solidarity and a common goal to create a safe and inclusive fan environment. BBC Newsbeat investigated LGBT supporters clubs in the Premier League in August this year. Excluding Arsenal FC, who formed the first Premier League LGBT group in 2013, BBC Newsbeat asked the remaining 19 clubs “if they had an official one connected with the club”. From the 11 respondents, 4 chose not to answer the question, 5 said that yes they did have LGBT fan groups and the remaining two stated that they didn’t have one at the current time. GFSN have stressed that Premier League clubs are not doing enough to support their fans. Ed Connell, GSFN Chairman, is shocked at the number of Premier League clubs and officials (such as Richard Scudamore) who believe that homophobia in football is not a problem. Out of the Fields conducted the first International Study on homophobia in sport. The results were posted in May this year and despite the majority opinion, out of more than 9,000 people in the United Kingdom 77% claimed they had “witnessed or experienced homophobia in sport”. Back to Richard Scudamore, the man who places blind faith on football and football fans to “tolerate” homosexuality. The statistics show little proof that coming out will be welcomed in English football. I hope I am proven incorrect, but I simply cannot support Scudamore’s thoughts. It is clear that we have a number of gay footballers who do not want to come out, for whatever reason. Clearly they are known to other professionals who they work with on a daily basis but they will not expose themselves to fans or the media. This highlights a significant problem with homosexual inclusion in English sport, particularly football. This problem isn’t exclusive to the football players alone, and football fans are seeking new ways to enjoy the sport that they love. Homosexual, bisexual and transgender fans are forming LGBT supporters groups in order to feel safe in Premier league grounds, and yet clubs, officials and executives are still denying that there is a problem. Without a shadow of a doubt Scudamore’s comments are ill informed and misjudged. I cannot say that I am a member of an LGBT group, but if I was I would not be very happy with my league executive for completely downplaying a very serious problem within football. 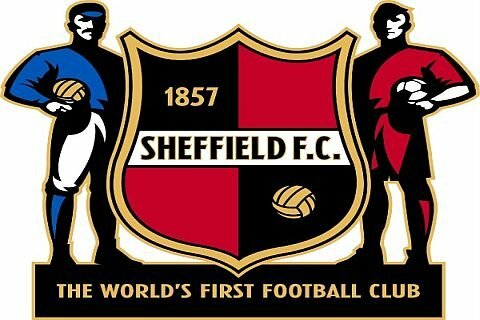 Happy Birthday to the world’s first football club Sheffield FC, who today turn 158 years old. Formed on 24th October 1857, today they will face Rugby Town in the Evo-Stik League Division South at their home ground the Coach and Horse Stadium. SPORT AND POLITICS: FROM THATCHER TO CAMERON – WHO WILL BE NEXT? British politics has not always had an interest in sport. Even now many involved in politics feel that the two should never mix. For a long time it never did. A huge step was taken in 1972 when the Sports Council (now known as UK Sport) was established in Britain. This organisation launched the ‘Sport for All’ campaign. The aim behind it was to promote wider public awareness of the value of sport across the United Kingdom. ‘Sport for All’ wielded a dual message; it wished to promote access to sport for marginalised or disadvantaged groups, such as women, the disabled or those of a low socio-economic status, furthermore ‘Sport for All’ wished to promote sport as a part of everyone’s day to day life. Over the course of the campaign new facilities where built to offer sport provision, or there was simply improvements made to existing facilities. The establishment of the Sports Councils for a short time provided a positive step for sport. All would soon change under Thatcher’s Conservative Party. Margaret Thatcher, the woman that would change it all. Lady Thatcher, and the Conservative party, would form the role as British Prime Minister for 11 years from 1979 – 1990. Beginning with the 1980 Moscow Olympics, Thatcher desired all British athletes to boycott the international sporting event because the Soviet Union invaded Afghanistan in 1979. That GB athletes that did attend, did so without government support. Thatcher was ever keen to reduce public spending would never allow for a home Olympics. When Birmingham bid for the 1992 Commonwealth Games, it did so without financial support from the government. Thatcher and Football were two words that certainly did not mix well. Following two “crowd disaster” in 1985 (Heysel and the Bradford Fire) Thatcher and her Conservative government introduced fan ID cards under the Football Spectators Act of 1989. The ID cards were required by fans to gain admission to football grounds in Britain. Critics of the scheme complained that a vast majority of supporters may have been law-abiding citizens. There were also technological difficulties associated with the cards and heavy queuing was another major issue. The Prime Minister also failed to consider the possibility that most disturbances were outside grounds rather than inside. Hillsborough would be the final “crowd disaster” that would lead to the abolishment of the ‘National Membership Scheme’. School Sport, and the work of the Sports Councils, was to take a heavy toll during the Margaret Thatcher era. The Prime Ministers 1981 Regulation 909 gave education authorities the right to sell school land that they considered surplus to their requirements. Over the next decade an estimated 5,000 playing fields were sold, many converted to housing developments, supermarkets or car parks. A survey by the Secondary Heads Association showed that the proportion of pupils under 14 spending less than two hours a week in physical education rose from 38% to 71% between 1987 and 1990, a shocking statistic which completely summarises Thatcher’s indifference towards sport. John Major, and the Conservative party, would succeed Margaret Thatcher and form the role as British Prime Minister for 7 years from 1990 – 1997. Major aimed to place sport at the top of the Westminster agenda. He believed that School Sport was the first step towards a lifetime participation in sport. To achieve lifetime participation John Major aimed to provided links been school and club sport. Sport: Raising the Game released in 1995, was to be the Conservative Party’s new sports policy plan. The plan committed to correcting Thatcher’s failure and looked to reinstate a minimum of 2 hours a week dedicated to Physical Education and School Sport for ALL children. Traditional British sports and team games would be central to the plans. The cultural heritage surrounding team sports in Britain was to be used to promote pro school values and character building. Under Major’s Conservative government huge funding was put aside for the provision of extracurricular activities and school – club links. The establishment of the National Lottery in 1992 was used for this exact purpose. The Lottery funds were to be split amongst the UK Sports Councils with the sole purpose of providing school sport. Under Major sport appeared to be in good hands, however there are issues with his policy. Major valued traditional, team games and while this appeared to be harmless in reality it divided genders. ‘Traditionally’ boys played rough, competitive, tactical games like football or rugby while girls played low intensity, aesthetically pleasing, technical games like netball and gymnastics. The plan was critiqued for not engaging everyone at school level. The idea of ‘traditional’ school sport mirrored Victorian ideology that resided in the English public and Scottish private schools. The plan was deemed as ‘more of the same for the more able’. Tony Blair, and the Labour party, would succeed John Major, and form the role as British Prime Minister for 10 years from 1997 – 2007. It was now Labour’s turn to create an inclusive and proactive sports environment in Britain. The Game Plan was Blair’s proposal for improving sport in the UK. For the first time in British history the plan outlined physical activity objectives. Sport under Blair’s Labour government was going to be used as a tool to benefit not only education but wider society. Sport would be used to benefit UK health, crime, social inclusion and educational outcomes. The Game Plan strategy sought to increase opportunity equality, allowing people to participate within the social structures of British society. Blair’s plan targeted women, the elderly, school leavers and economically disadvantaged groups. It was estimated that £2 billion was the cost of physical inactivity each year. Physical Activity and Sport would be the miracle cure for chronic diseases. Labour admired sport as a money saving tool; it provided a preventative medicine which in the long run would decrease NHS costs. The Game Plan outlined the value that Blair placed on International sport participation and success. He believed a successful sporting nation created a ‘feel good factor’ that could have incalculable benefits on British people. However, it would be too simple to say that Tony Blair’s Labour party had got it entirely right. It is very difficult to evaluate the success the Game Plan had on social inclusion for obvious reasons. Furthermore, its success in the area of improved educational outcome can be questioned. It appeared that many leading educational organisations jumped on the bandwagon in support of educational improvement. The Qualification and Curriculum Authority (QCA) attached themselves to Labour’s Game Plan as did Youth Sport Trust (YST). However there could be many reasons for this. Perhaps to be seen that they are doing there jobs right, the QCA agreed that the strategy was working. They were hardly going to disagree. Similarly the YST who aims to increase sport opportunities for all young people, working within the realms of social inclusion, were never going to oppose the “success” of Blair’s Game Plan. Gordon Brown, and the Labour party, would succeed Tony Blair, and form the role as British Prime Minister for 10 years from 2007 – 2010. Competitive School Sport was Brown’s war cry following the news in 2005 that London would host the 2012 Summer Olympic Games. Brown’s Labour government channelled the use of new school sport such as cycling, canoeing and boxing in order to broaden inclusion and improve participation rates. His proposal set out to increase the minimum 2 hours of Physical Education to a weekly 5 hours of PE time. This proposal however has not since been met. It was a fairly unrealistic proposal which would require a huge increase in volunteers and specialised teaching staff. As for the use of new sports such as canoeing and boxing well there is very little evidence to suggest that they have been used in the British school system. The equipment and facilities required, not even mentioning the specialist coaching, was far beyond the reach of Gordon Brown. David Cameron, and the Conservative party, would succeed Gordon Brown, and form the role as British Prime Minister for 5 years from 2010 – present. Cameron faced the hard task of attempting to continue an Olympic Games Legacy after the success of the home nation event. This is a task that the current Prime Minister has never really accomplished. Cameron and the Conservative government in their first year in power backed major cuts for school sport partnerships, which had helped to increase the quality and range of sport available in schools. Ironically, for a government that values competition, competitive sport between schools has suffered after Cameron cut school sports partnership funding. The £162 million annual funding for school sports partnerships was cut in October 2010. However, with such a backlash the Conservative government had to make a partial U-turn which resulted in a £65 million a year investment in school sport. This however would only last until the year 2013. Cameron and his love of ‘competitive sports’, like Major’s Sport: Raising the Game policy, can cause mass exclusion. Again a Conservative government singled out talented and sporty pupils, while ignoring the indifferent. This would be another downfall discrediting the Olympic game legacy. Cameron, after dismissing the idea of reintroducing the 2 hour Physical Education target, because schools were meeting it “by doing things like Indian dance or whatever, that you and I probably wouldn’t think of as sport”, provided a new draft PE curriculum published in 2012 that will make it compulsory to take part in what his Conservative party believe to be “recognised and recognisable sports” such as football, hockey and netball. This may well be a carbon copy of Major’s Conservative ‘Traditional’ Sports Policy, the difference being that John Major placed a fair amount of funding behind sport. Cameron obviously has different plans for his purse, and indeed he was not the man to “Inspire a Generation”.